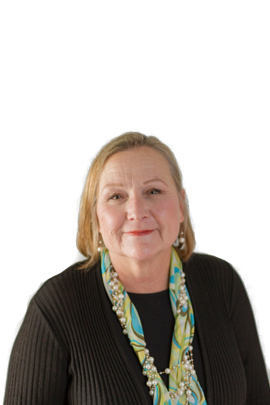 Pam is a California Native, but has resided in New Mexico for the last 25 years. 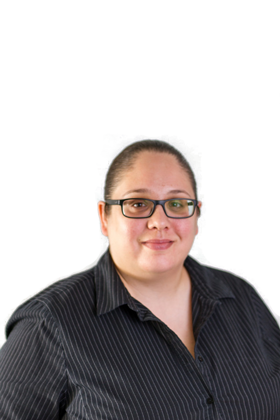 She is currently the Operations Director and a licensed Associates broker here at Rhino. She has 35 years of experience in Business, and has owned and operated a Commercial Janitorial Company. She also has great experience in managing, as she has done so previously at Hotels, Restaurants, and Night Clubs. Her multiple years of experience and great customer service has made her such a vital part of Rhino Realty & Southwest Maintenance. She is often identified as the company's fundamental heart and strives to provide peace of mind to owners and tenants alike. When Pam is not working, she enjoys visiting the local Bio Parks, watching Musicals and Plays, and spending time with her family and dogs. Ewan pronounced (You Ann) has lived in New Mexico for 33 years. He was adopted at the age of 3 by undoubtedly the most caring and reputable parents one could ask for. He grew up in Santa Fe and moved to Albuquerque to attend the University of New Mexico. He has resided in Albuquerque since 2000. It didn't take long for Ewan to realize his career path. He quickly developed a passion for people in the service industry, which landed him as the General Manager for 12 years at Foot Lockers highest grossing volume store in the state, "House of Hoops" (With over 3 million in sales). He was promoted to a manager trainer in 2012 and was the recipient of multiple manager of the year, sales leadership, top profit, and top dollar gain awards. His outstanding service skills, leadership qualities, and training abilities have led him to Rhino Realty Property Management LLC as an associate broker where he specializes in Multi Family sales. The characteristics that help describe Ewan are unselfish, loyal, respectful, relentless, authentic, and outgoing. During your experiences with Ewan, he will exemplify the meaning of true genuine service while making you laugh and smile during the process. On his time away from work Ewan enjoy's spending time with his son Jeremiah or "JJ" and he still plays pool on occasion, but mostly devotes his time working to improve his son's basketball skills. 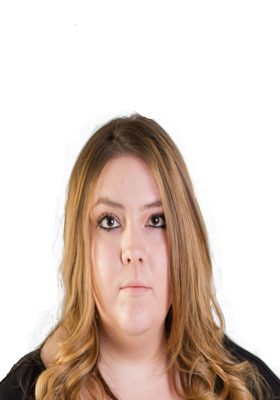 Vanessa was born and raised in Bernalillo, New Mexico. Before joining the Rhino "Crash" as a Maintenance Coordinator, she was a manager at the renowned Tamaya Hyatt Resort where her customer service shined. She is well known for her organizational skills, great attention to detail and creativeness to solve problems. Vanessa recently received her Associate Broker's Real Estate license, and is excited to grow within Rhino both as a Coordinator and out on the field. When Vanessa is not working, she enjoys watching sports and spending time with her family. She is a huge Dallas Cowboys fan, and loves to play basketball. Audrianna Padilla is from Bernalillo, New Mexico. She graduated from Bernalillo High School and became a Medical Assistant where she gained intimate experience working with patients and perfecting customer service. Additionally, she has over 9 years of experience in the Food and Beverage Industry. When she was given the opportunity to work in the Real Estate business and provide administrative support for Rhino Realty last fall, she knew she had found her industry. She has obtained her Associate Brokers license from Kaplan University. She is very excited for her future in Real Estate and with Rhino Realty! Tina was born in Florida and raised in South Carolina. She moved to Los Lunas, New Mexico in 2005. She attended UNM and obtained an Associates Degree in Business Administration. Additionally, she obtained her Real Estate license through Kaplan University. She has a rich background in service including sales, marketing and customer care. Tina is the newest Associate Broker to join Rhino Realty. She is a happily married mother who's joy is spending time with her family. Hans Vaneck was born in Amsterdam and grew up in Sydney Australia. For the previous 20 years in Sydney he was self employed and worked in the service industry. His interest in Real Estate stemmed from the numerous renovations he was involved in while living abroad and in 2005 he came to Albuquerque and continued renovating, specifically focusing on multifamily properties. In 2012 Hans joined Rhino Realty Property Management and is now the lead supervisor and oversees the maintenance division. 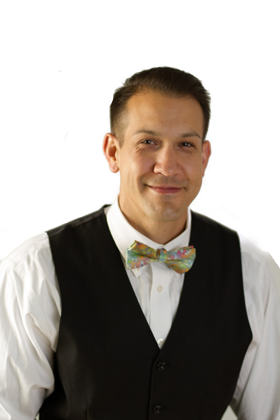 Eric Gust is a REALTOR ® and Associate Broker at Rhino Realty, a full-service property management and real estate company serving the housing needs of current and future property owners in Albuquerque, Rio Rancho, Corrales, Bernalillo, Placitas and Los Lunas. Eric was born in an Army Hospital in Okinawa, Japan, but grew up in the United States. He has lived in several states ranging from the east coast all the way to Hawaii. Prior to launching his career in real estate, Eric served in the military with the U.S. Navy and was stationed onboard the USS South Carolina CGN-37, the last nuclear cruiser on the east coast. Eric decommissioned this ship when it was put out of service and then had the amazing opportunity to serve the Special Warfare community at Little Creek, Virginia, providing support to Navy SeALs at SDVT-2 (SeAL Delivery Vehicle Team Two). At the completion of his enlistment, he continued to serve our country as a defense contractor, deploying to Iraq and Afghanistan, supporting the U.S. Army, Special Forces, and SOCOM. Despite choosing to defend our country as a career, Eric has always had a love for real estate. Following his 5-year deployment in the Middle East, he set his sights on finding a place to settle down with his family. Eric moved to New Mexico in 2015 and fell in love with the sunny weather, elevation, clear air, scenic views, and laid-back tempo. 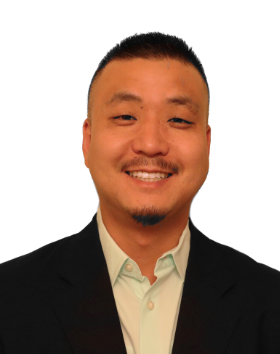 As an Associate Broker at Rhino Realty, Eric is committed to his clients. He has a talent for helping people find the perfect home, townhouse, condo or apartment to fit their lifestyle. His clear and friendly communication style, attention to detail and willingness to do whatever it takes to match his clients to their dream home make him the perfect broker to work with. Contact Eric Gust at (505)508-8277 when you’re ready to start the search for your next home.  Alex is the founder, owner, and Qualifying Broker of Rhino Realty Property Management, as well as the owner of Southwest Maintenance and Janitorial LLC. 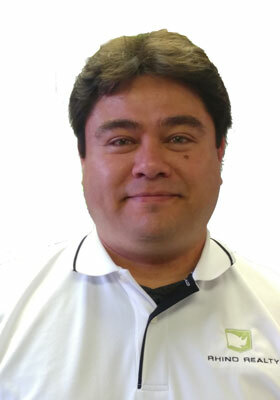 Originally from Los Angeles, California, Alex has resided in New Mexico for 20 years where his entrepreneurial spirit took off as he started owning and running businesses at the young age of 15. He is a CNM and UNM alumni with an Associates degree in Culinary Arts and Athletic Physical Training with a minor in Nutrition and is a food and gym enthusiast. 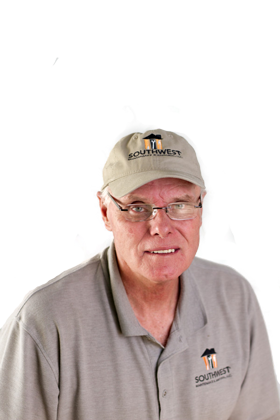 With 12+ years experience in Real Estate, he has taken over the industry and is known for his numerous features in Albuquerque Business First the Magazine, the Book of Lists, the Morning Brew, and Kasa Fox 2. He is diversified in numerous aspects of Real Estate, including single family, multi-family, large developmental sales and commercial Real Estate, investments, short sales, foreclosures, and "flips" for the Albuquerque public and for Professional Athlete clientele alike. His Real Estate Brokerage was acquired by Berkshire Hathaway in 2015, one of Alex's larger accomplishments. This marked one of only two companies to be acquired by Warren Buffet signature company in New Mexico. Alex is also an avid member of Big Brothers Big Sisters of Central New Mexico and has been a part of numerous other organizations including the Albuquerque 20/30 club. When not expanding, visualizing, creating or executing, Alex enjoys traveling the world (he has been to over 40 countries), running, reading, following professional sports and spending time with his family and famous english bulldog named Chubbs. Teresa is Rhino Realty Property Management's preferred listing broker. As an experienced and accomplished Realtor, she knows that hard work and integrity are the keys to any successful endeavor. Truthfulness, reliability and the desire to serve her customers with respect and passion are the values in which she believes. 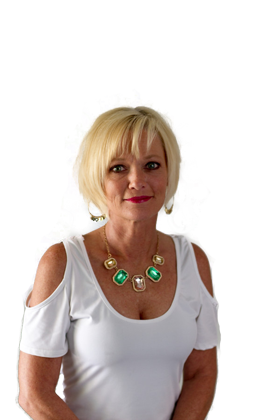 Teresa is a hard worker with abundant energy and dedicated to her clients. On her spare time Teresa enjoys traveling and is an avid workout enthusiast. Krystal born in Arizona and moving to New Mexico at the age of 9, Krystal Gourley moved to Bosque Farms, just north of Belen. 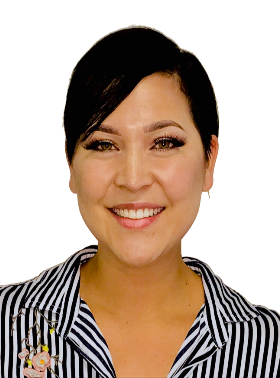 For the past 7 years Krystal has been helping people find their home in the property management industry and winning several awards for outstanding customer service in the process. In her free time you might find Krystal hiking in the Cibola National Forest or taking a short trip over the weekend to explore beautiful New Mexico.